Reducing caffeine can reduce complaints of heartburn (acid reflux), sleep disturbances, and anxiety. But stop caffeine altogether may make you more irritable, tired, and even headaches. For that follow these tips safely reduce caffeine as submitted by Robynne Chutkan, gastroenterology experts from the University's Medical Center. There's nothing wrong with caffeine, until you take too much and suffered heartburn and insomnia. If you are too worried about the possible adverse effects of caffeine in the long term, try to minimize it. 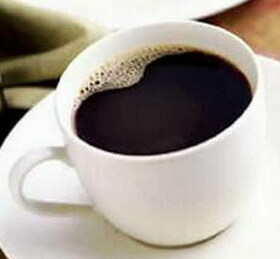 If you are a heavy caffeine drinker, then you need to reduce them gradually so that withdrawal symptoms may be reduced. Remember that caffeine can be obtained from many sources, including chocolate. As early as possible you can replace the coffee with decaf coffee caffeine content is much less. Slowly replace the coffee with another drink caffeine-free. A headache that lasts more than two days may be a sign you are experiencing symptoms of caffeine addiction. When the headaches began to interfere with the consumption of head pain. But avoid aspirin or ibuprofen and choose asetaminopen because it does not cause heartburn. Drinking more water is one way to do the detox. Also in the hydrated state, the body will be more vigilant so that your mind focused even without caffeine. Exercise can have an effect as a stimulant, like caffeine. Therefore, if there are signs of caffeine addiction, such as fatigue, dizziness, doing physical activity to increase energy. This means do not let your stomach empty for more than four hours. Left empty stomach will make your body no energy, and more difficult to concentrate. Coffee contains the stimulant so if we stop eating we tend to feel less powerful. In fact, the most potent medicine to restore energy is sleep. To get around the difficulty sleeping, avoid naps, exercise regularly, and sleep at the same time every night.